Sometimes simplicity is best. When it comes to these tasty little treats that the store called Premium Walnut Cookies, it certainly does not get any simpler. The store sells just one main product (not counting the coffee and tea selections)- Hodo Kwaja. These are small walnut shape cookies filled with sweet red bean paste and walnuts. When I first tried these pastries, it was over ten years ago, and I had bought them from a Korean supermarket. At that time, I thought the little pastries were just alright, perhaps a bit too sweet. 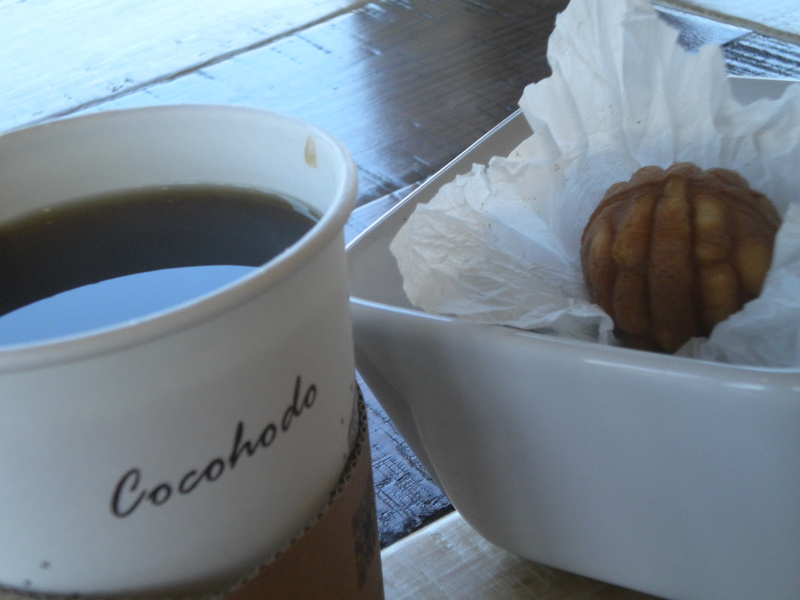 The walnut pastries at Cocohodo are definitely many grades better than the ones at the supermarket. 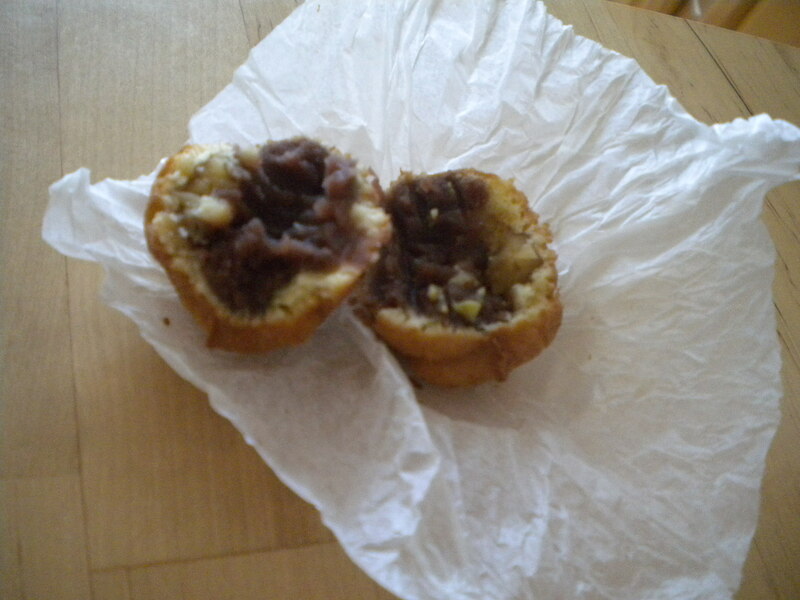 The red bean paste inside as well as the outer cake portion have just the right, small amount of sweetness that I prefer, and with the soft crunch of the walnut, the pastry came together quite harmonious without feeling heavy. I ordered a special which included a cup of coffee and four pieces of walnut pastries for around $3.5. One could choose either regular or hazelnut flavored coffee. My friend and both decided that the hazelnut coffee was probably one of the smoothest, most flavorful coffee that we have ever tried. It was so good even without any cream, milk, nor sugar. The walnut pastries were individually wrapped and came in a contemporary ceramic white bowl, which made it easy to share with others without having to use any utensils. The atmosphere inside this small store is very peaceful, modern, with huge windows are around. I felt so comfortable and relaxed sipping my coffee and looking out at the passing cars. I was told that the store features art work from local artist at one corner of room. One can also buy these pastries either in gift bags or gift boxes and the prices are reasonable. I will definitely come back the next time I want to having a relaxing chat with friends, while enjoying great coffee and a small treat.